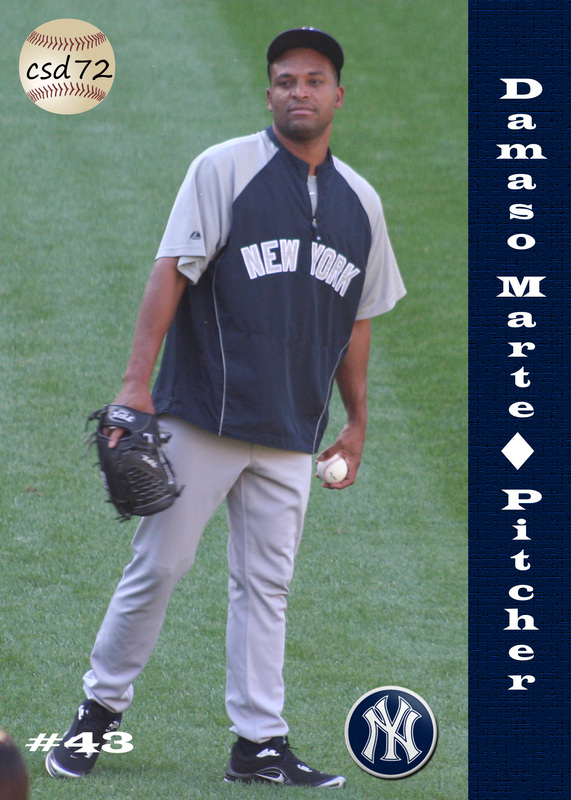 Joe Girardi was a big fan of former Yankee reliever Damaso Marte and for the life of me I could not figure out why. The Yankees had acquired the Dominican southpaw from Pittsburgh in the same 2008 trade that brought outfielder Xavier Nady to the Bronx. Marte had been 4-0 with 5 saves for the Pirates at the time that trade was made but he finished the ’08 season 1-3 as a Yankee and his ERA ballooned to 5.40. When New York then declined his option, I was pretty sure his Yankee days were over. I was wrong. Brian Cashman instead signed him to a new three-year deal. Marte got worse instead of better during the 2009 regular season, going 1-3 and his ERA skyrocketed to 9.45. I again predicted his days in pinstripes were numbered but Joe Girardi had other ideas. He put Marte on the New York’s postseason roster. There was something in the Yankee skipper’s head or that famous binder of his that made him think Marte was going to get some huge outs somewhere along the way. Those outs didn’t happen against Minnesota in that year’s ALDS. In his only appearance against the Twins, he gave up two straight singles and was quickly removed. That’s when the Marte Magic began. In his next seven appearances in that postseason, which included an inning-and-a-third against the Angels in the ALCS and two-and-a-third more against Philadelphia in the World Series, Marte did not surrender a single hit or walk a single batter. He struck out the final two hitters he faced, Chase Utley and Ryan Howard on six consecutive pitches. That’s when the Marte Magic ended. His 2010 season was disrupted by inflammation in his pitching arm and cut short when his left shoulder required surgery. That knocked him out for the entire 2011 season and finally ended his Yankee career. He did not pitch any where in 2012 and it looks as if his big league career is also over. He shares his Valentine’s Day birthday with this Hall-of-Fame Yankee announcer and this one-time Yankee pitching prospect and this one-time Yankee utility infielder. My father-in-law, Lou Rossi of Boynton Beach, FL, turns 93-years-old today. Happy Birthday Lou! The first few times I watched Tyler Clippard pitch in a Yankee uniform, I did not think he was going to be a particularly effective big league pitcher. I suppose one of the reasons I formed that initial opinion was the right-hander’s very unorthodox windup. Clippard is tall and thin and during his delivery, it seemed as if he could fold his back into a right angle and puff out his chest to a point where you thought it was going to explode. At the same time, he stretched and waved every appendage on his body to their furthest points. After winning 31 games during his four-year stay in the Yankee farm system, he made his big league debut against the Mets in May of 2007, pitching six strong innings and getting a win. Just 22 years old at the time, Clippard seemed to pitch less effectively in each successive start. He had a fastball in the very low nineties, he walked a lot of batters and he gave up a lot of fly balls. As a right-hander in the old Yankee Stadium that was not a good recipe for success on the mound. But Clippard did have an outstanding change-up, which made his very low nineties heater much more sneaky fast. New York’s front office gave up on the Yankee Clippard after the 2007 postseason, trading him to the Nationals for Jonathan Albaladejo. Clippard has evolved into a real force in Washington’s bullpen. He saved 32 games for the Nats in 2012. 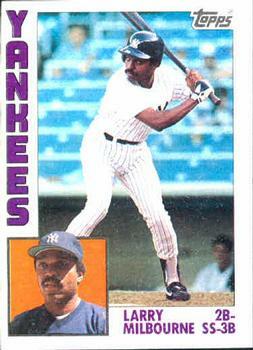 Meanwhile, Albaladejo did nothing but struggle for the Yankees. 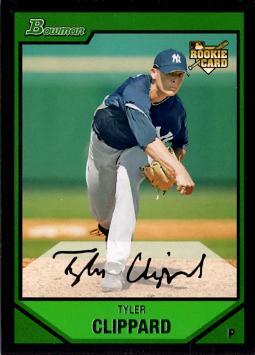 Clippard was born on Valentine’s Day, in 1985. 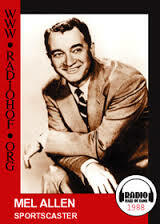 This “Voice of the Yankees” was also a Valentine’s Day baby as was this former Yankee relief pitcher and this one-time Yankee utility infielder.